Come on over and take a peek at our Facebook page for a number of Free Promotional opportunities for you all. Firstly can all of you fabulous wedding venues write up some great content about your venues food, staff, famous clienteles weddings, your produce and why you choose it, juicy gossip and upcoming events etc. Add some fun laughter and interesting engaging stuff why not add a recipe for readers to try. We need some images as well please. These will then be posted on a reputable Dining website and give your business a huge promo for Free. So please go to our Facebook page or call me at Register Your Wedding so we can get things started. If you would like to show off your work then please drop a disk into the Register Your Wedding offices and catch up with Nicholas and he will have them loaded for you with full credits to you and your company. A big thank you all in advance and please do not forget this Blog is your Blog and the RYW Facebook page is also for you guys to promote your business so jump to it and start talking to our couples. Oak Beach, between Cairns and Port Douglas in Far North Queensland is a stunning destination and that’s where Ben and Melissa got ready for their tropical wedding. In a beautiful timber beach house, with the waves crashing out the front, we got to work on the wedding makeup and hair for the couple’s guests and family before turning our attention to our beautiful bride. 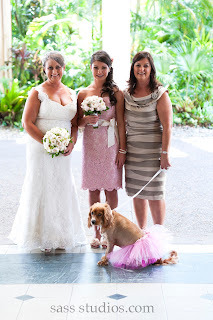 And who could forget Tilly in her pink tutu! Take a look at more Cairns, Port Douglas, Palm Cove and Mission Beach wedding makeup photos by Cairns makeup artist Abigail Stanbridge of Finesse Makeup. 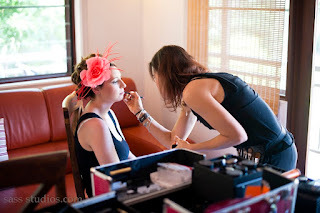 Professional mobile hair and makeup service for weddings, photo-shoots, television commercials, school formals and special occasions. After years of photographing weddings at Kewarra Beach Resort I thought it time to put a few favourites on Facebook. Do you like? There was also a fantastic wedding reception held at the Angsana Resort under the Palm Trees on Sunday night. It really looked amazing, With the whole party enjoying the Tropical Winter evening. 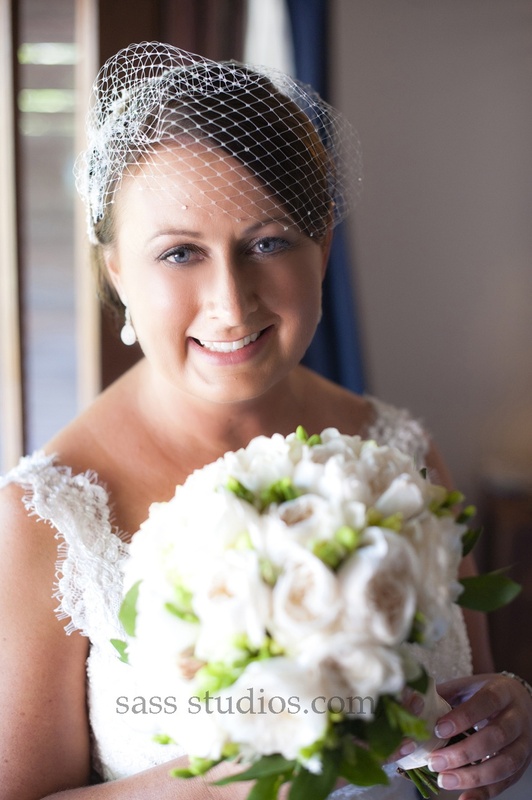 There was another beautiful wedding on the beach at Kewarra Beach resort which Frank and Gina precided over on a beautiful Saturday afternoon with the ocean and islands as the backdrop. 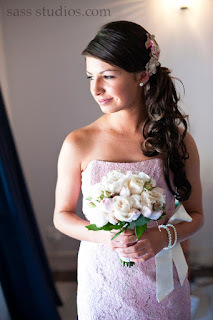 It was a stunning day and the wedding and Guests looked fabulous. 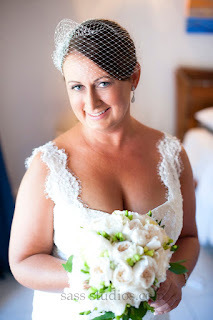 We just purchased a new Canon 550D camera for Cairns Holiday Specialists and Register Your Wedding so that we could have unique up to date images and videos to post on our Blog and Facebook pages for all of our couples and guests to see what is going on in Cairns and Tropical North Queensland on a daily or weekly basis. We were out and about last weekend shooting some of the local beachfront resorts and wedding chapels and came across a few real weddings in the golden sunshine on the northern beaches of Kewarra Beach, Holloways Beach and Palm Cove. 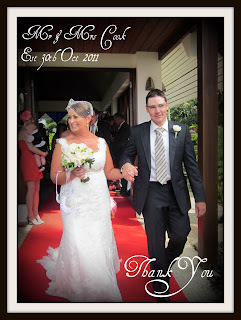 We just love the one of Jarrad and Cassandra’s wedding in a house at Holloway’s Beach. They had effigy’s of themselves made to greet guests at the entrance of the beach house where they were holding their wedding reception. 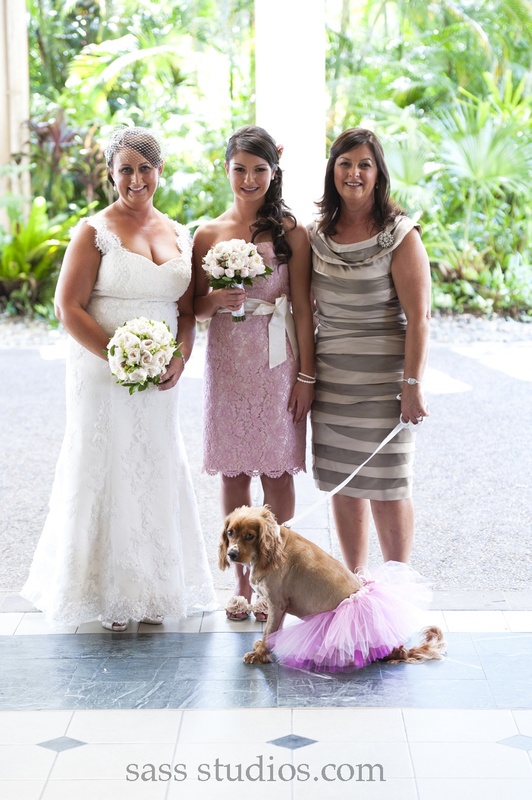 Here is a post from a beautiful wedding we shot up in the Tablelands at Hillside Eden Gardens recently!